Rejuvenate your love for Doctor Who with these GN's! 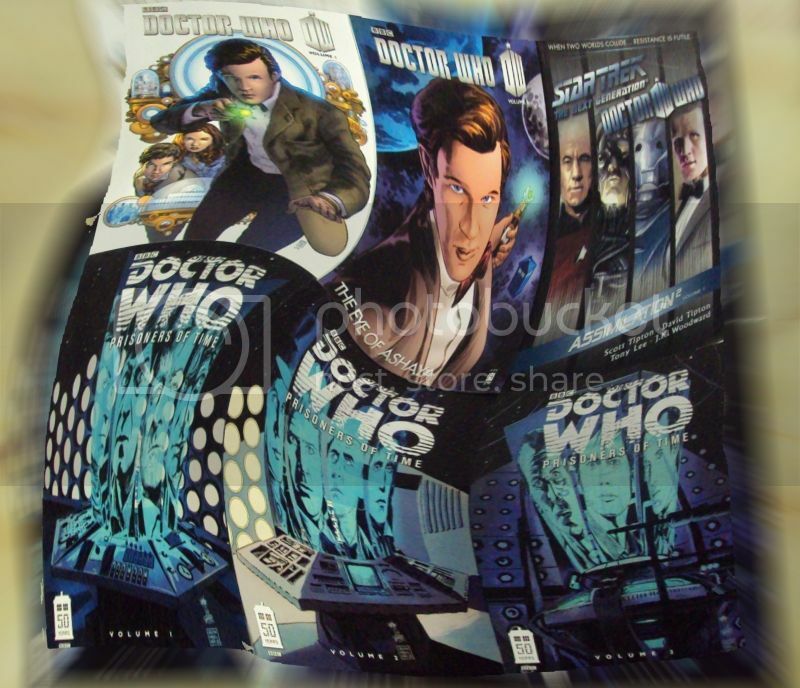 Posted: Fri Dec 27, 2013 12:04 pm Post subject: Rejuvenate your love for Doctor Who with these GN's! There's a new Doctor in the house, but thanks to IDW, you can read about any Doctor you loved. IDW (and us, Merlyn's) now carry several different graphic novels about the Doctor. Cybermen, prompting a planetary evacuation. somehow crosses between universes and lands on the holodeck of the Enterprise-D.
Picard for assistance, who reluctantly agrees. Then there's Prisoners of Time was the story made by IDW to celebrate Doctor Who's 50th anniversary. all leading up to the final, multi-Doctor issue in December. We now carry three volumes, each containing four issues. So grab your screwdriver and head on down to get these great novels. Also, we give at 10% off to any and all time travelers and companions.